I've started wearing more and more print, but at heart, I am someone who loves a singular color palette. 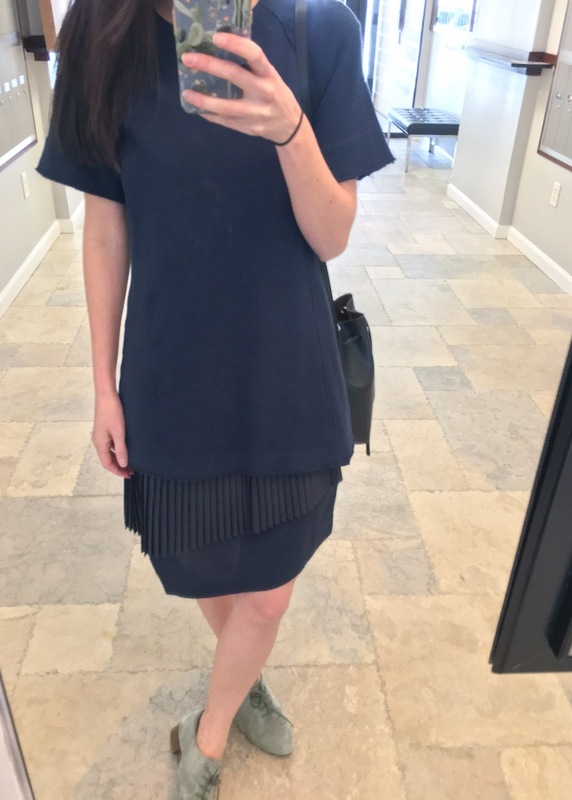 It is really easy to wear and then I can always add a statement bag or shoe. Black is obviously a classic, but it can be a little harsh, so I usually gravitate towards navy. It matches easily with accessories or jackets of every color, and I like the way it looks with my skin-tone. Obviously, if this was going to be the ideal dress I could wear everyday, if I had to, it has to be comfortable. This one is so soft and easy to move it. 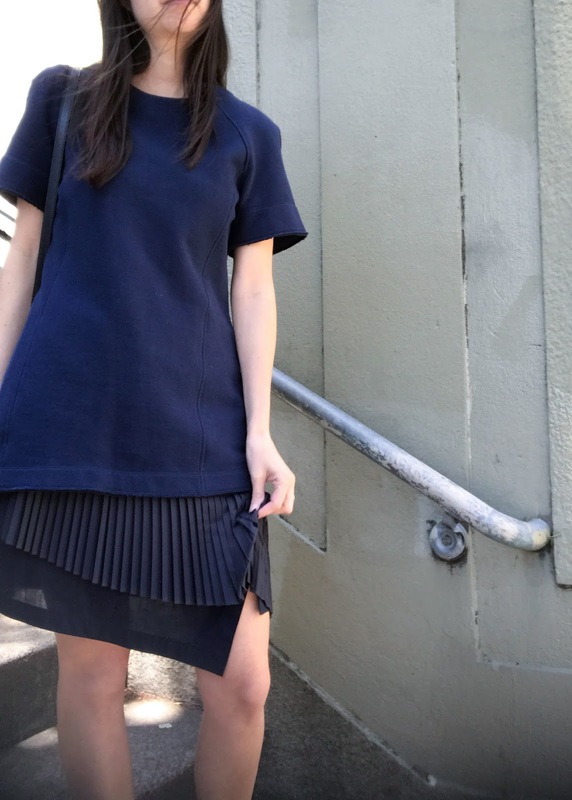 The pleats also catch the breeze in a pleasing way. I have enjoyed discovering my personal style over the years, and a small part of what makes up my personal style is a joy in finding pieces that are unusual, and not worn by everyone. That is part of the reason, other than thriftiness, that I like thrift and consignment stores. I love finding something that isn't for everyone, with an unusual detail or element. (Also, Derek Lam is sold all over the world, so I guess take "unique" with a grain of salt, there.) In this case, it is two fold. 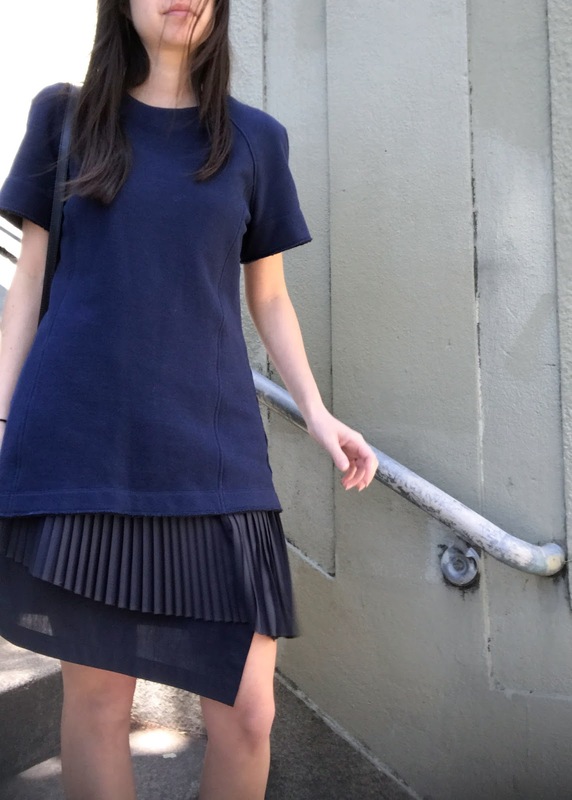 First, this is actually two pieces, there is a pleated under-dress, and then the sweater part goes on top, but you an also wear them separately. 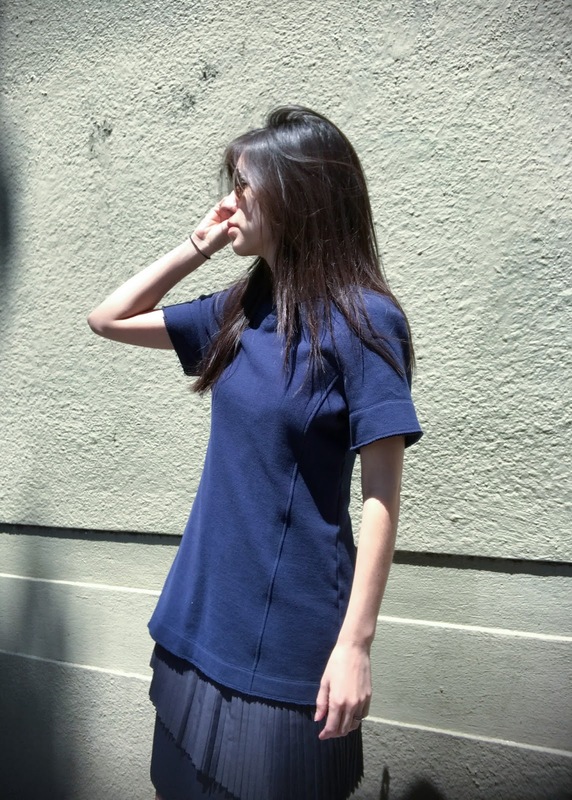 I've worn the top as a tunic w/ leggings, for example. 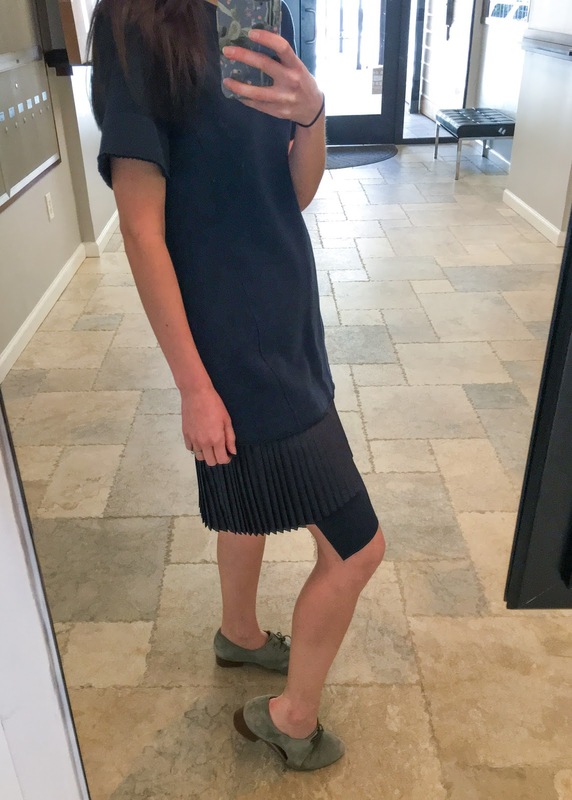 Additionally, I love the pleated bottom - it isn't pleated all the way across, with the uneven hem, allowing little triangles of pleats to pop out at the bottom of the dress. What are the necessary elements of your ideal dress?